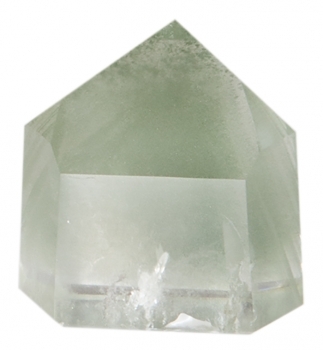 GREEN PHANTOMS are clear crystals with ghost-like flecks inside that have been absorbed over eons of time. 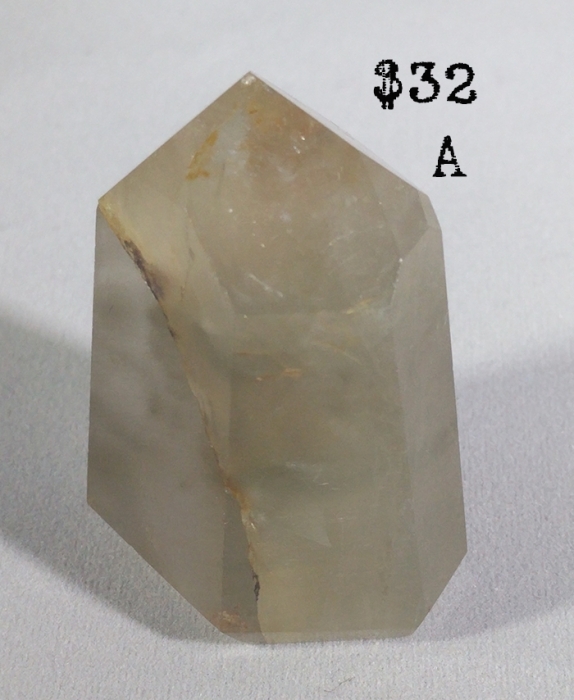 It has the power of a clear crystal plus the added extra to attract money. Phantoms put the past into perspective and point you towards growth. The Phantom aspect is a green mineral trapped within the quartz. 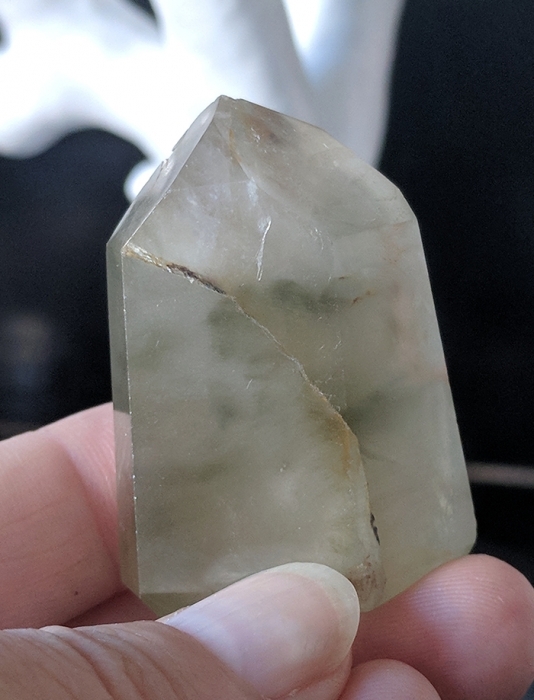 The ones I like best appear wispy or ghost-like. 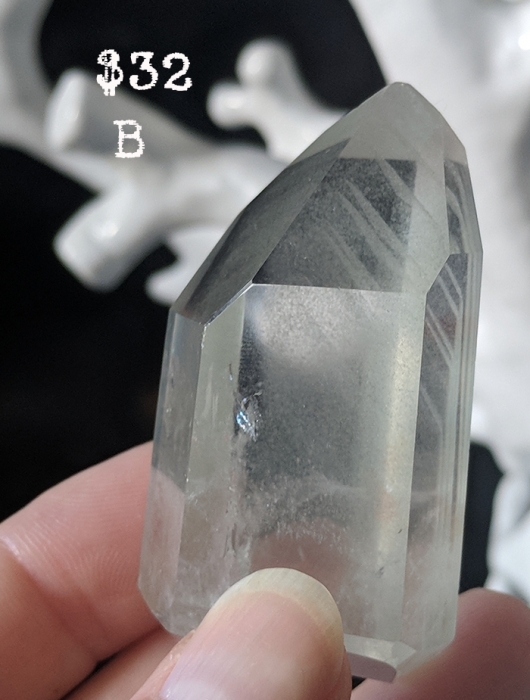 These come from Madagascar and are also called "Dream Quartz." 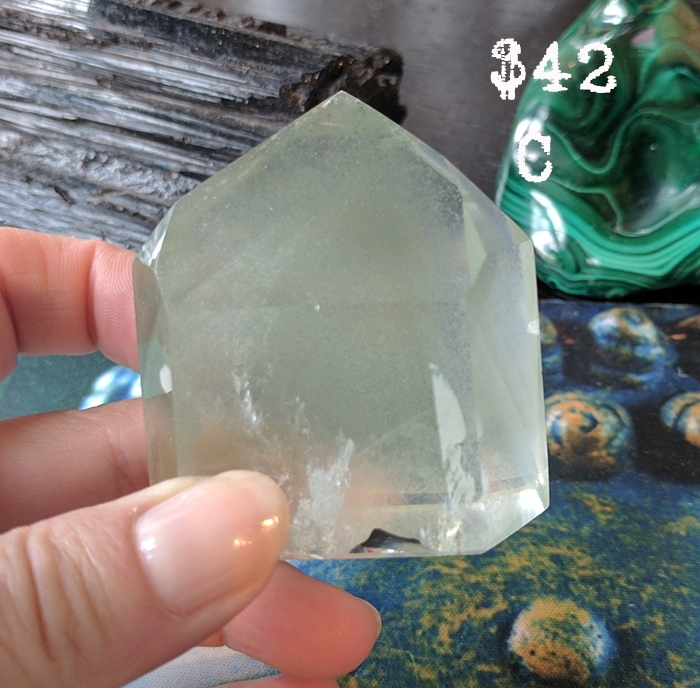 Green Phantoms are very special crystals that attract prosperity - place on your desk.